Make sure you stay safe by staying visible. 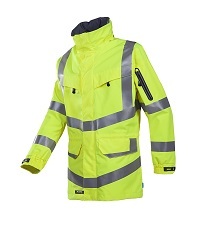 If you're looking for top-notch high-visibility rain protection you can wear for longer periods and in warm conditions, then the Sioen range is just the thing. 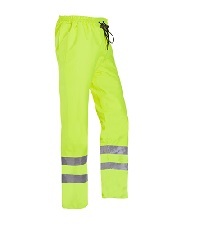 All of Sioen's high-visibility garments are in accordance with the EN ISO 20471 standards. SIOPOR® Regular is a basic SIOPOR® quality. It embraces all the general characteristics of SIOPOR® range on top of being very light. Fabric specs: plain weave polyester with a breathable (100%) PU coating weight: ± 155 g/m2. SIOPOR® Extra is a top range SIOPOR® quality. 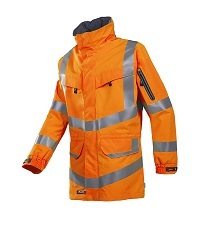 Thanks to the use of a membrane, it performs very well in terms of breathability. The fabric is also very supple and has a cotton feel, which makes it into an exceptionally agreeable outer fabric. Fabric specs: 100% polyester spun fabric with breathable (100%) PU laminate weight: ± 205 g/m2. 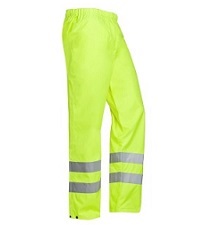 If you’re looking for top-notch rain protection you can wear for longer periods and in warm conditions then the Monoray and the Bitoray outfit is just the thing. 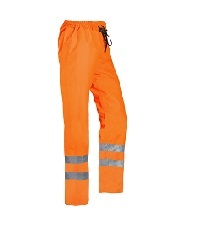 It is highly breathable, light and strong making you feel comfortable during your working activities. Excellent price/quality ratio. 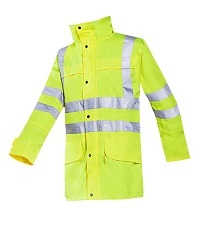 If you’re looking for top-notch rain protection you can wear for longer periods and in warm conditions then the Monoray and the Bitoray outfit is just the thing. 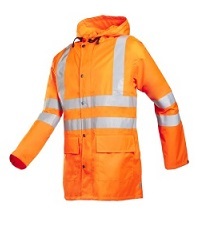 100% waterproof, windproof and highly breathable, with stud adjustable legs. Fixed lining. Conforms to EN ISO 20471:2013 Class 1 and EN 343: 2003 +A1: 2007 class3-3. 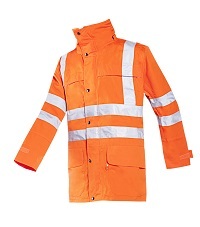 High-Visibility Orange Preston also conforms to RIS 3279 TOM 2016. 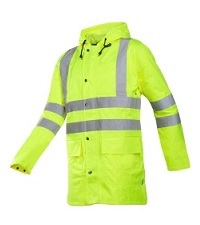 100% waterproof, windproof, highly breathable, water repellent outer fabric and moisture attracting coating on the inside. Conforms to EN ISO 20471:2013 Class 1 and EN 343: 2003 +A1: 2007 class3-3. High-Visbility Orange Flensburg also conforms to RIS 3279 TOM 2016. 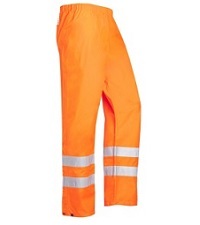 Has front fly with press studs, 2 inset pockets, elasticated waist with drawstring and leg narrowing by press studs. Comfortable, supple and high tear resistance. Conforms to EN ISO 20471:2013 Class 1 and EN 343: 2003 +A1: 2007 class3-3. Mildura in High-Visibility Orange also conforms to RIS 3279 TOM 2016. Has straight collar, detachable hood with chin protection and peak, zip closure under double flap with press studs plus many more benefits.